The first video done by Kal Koncepts/Air Syndicate. 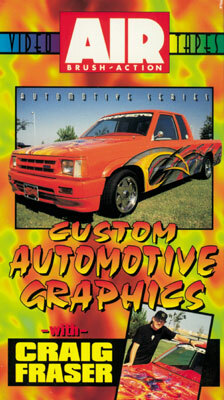 Eventhough this truck was painted over a decade ago, the graphics demonstrated in this video are still influencing mini-truck, and kustom graphics world wide. Watch as Craig, Dion, and the rest of the Kal Koncepts crew go from primer to clearcoat, with all the graphicsm, airbrushing, and pinstriping in between. With all of today's reality shows condensing kustom paintjobs into a one hour edited fashion show: get this video, and see how a real paintjob is laid out, sprayed, airbrushed, and clearcoated all within 3 days.